Hope everyone had a great weekend! I'll be posting some more games tomorrow and most likely another couple on Thursday! The goal is to have at least 2 game posts per week. There's new games coming out every week so I'm sure I wont be running out of content anytime soon. Saturday was my 23rd birthday and for the most part it was one to remember. 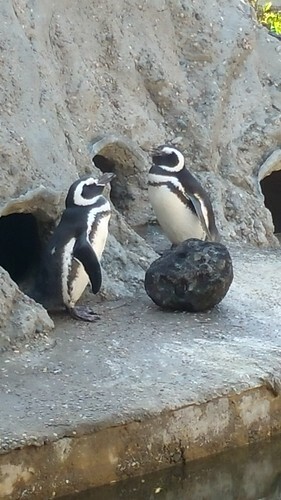 I decided the night before that I wanted to go back to San Francisco Zoo! It's been about 2-3 years since we last went. I love that ticket prices aren't even that bad compared to other places like Academy of Sciences or the Monetary Bay Aquarium. The cost of entrance for both the girlfriend and myself came out to $34.00 which is about the price for 1 admission to the Aquarium. We headed over first thing in the morning as soon as they opened hoping to get good parking as well as avoid some of the later/afternoon crowds. All pictures were taken with my Galaxy Note 4. Click on the Link for my mini review when the phone was officially released in US Mobile Markets. We were able to get great parking that was just down the street and the best part is that it was FREE! Otherwise you're looking at paying $8.00 during the week day and $10.00 on the weekends, which itself isn't bad compared to like Sharks Game arena parking is $25.00.As for avoiding the crowds there was a big crowd when we first started since everyone starts with the exhibit that is closest to the entrance. Having a long neck would've have definitely been helpful. Hah! It wasn't until we got home that we were saddened by the news of Kabibe. You can find more information by going to this link , Basically what had happened was the hydraulic door crushed the 16 month baby while they were transferring her. It's really a shame that this tragedy could have been prevented. 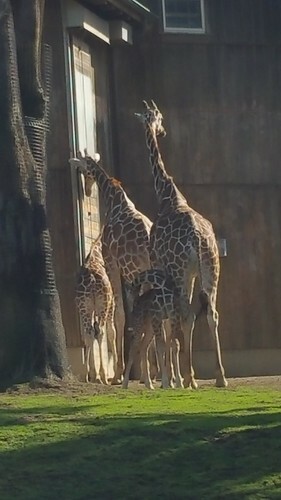 But aside from that the overall zoo experience was great. We had us some delicious dip n dots while we moseyed along the other exhibits. I've posted some of my favorite pictures and the very last album will be combination of all pictures. Surprisingly the last animal we stopped by to pay a visit wasn't crowded at all. 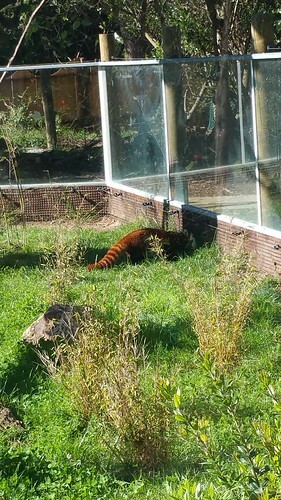 We had saved the best for last, the Red Panda. Fun Fact! "Red pandas are more closely related to raccoons than bears." I was a little disappointed about the amount of animals they had per exhibit, some of them are endangered/rescured and I feel they would be safer being watched vs being hunted down. Although like the tragedy with Kabibe, even being somewhere where they are supposed to be 'protected' isn't always safe. I am going to be picking up Assassins Creen Unity tonight for the midnight release! This lucky duck has an awesome girlfriend who got him the game for his birthday! I am hoping to start talking more about games other than just Free Mobile Gaming.